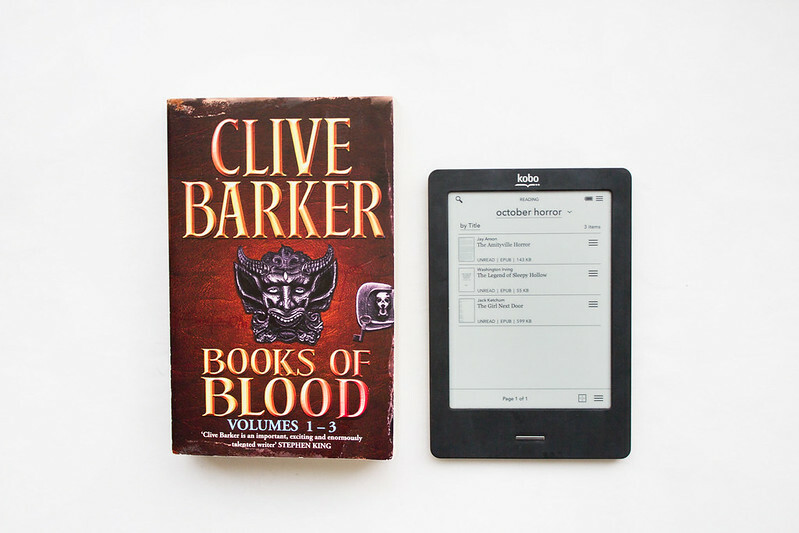 Books of Blood: Vol 1-3 by Clive Barker was hit and miss. While 'In The Hills, The Cities', 'Dread', and 'Jacqueline Ess' ignited interest and made me squirm, the majority of the stories weren't quite so interesting. I Have No Mouth, I Must Scream by Harlan Ellison was just peculiar. The postapocalyptic science fiction short story lingered with me for a long time after reading. Penpal by Dathan Auerbach was one of those stories that pulls you along and doesn't let you go. Originally a reddit post, it reads like an amateur short story (which it is) but the format is what entices you in. You can read the original here. I've watched the film and read the history about the true life events, yet The Girl Next Door by Jack Ketchum was still difficult to read. The narrative makes the reader feel uneasy from the start and the story itself is sickening.